Since the days of Mosaic in the early 1990s, Jon von Tetzchner has been working on web browsers. He’s one of the creators of Opera, the alternative browser that’s been a power-user favorite since 1995, and his new project, Vivaldi, is heading for its first stable release. Born in Iceland, von Tetzchner went to college in Norway, and stayed on to work at Telenor, the country’s national telecom company. While there, he invented the Opera browser with co-workers, who eventually created a separate spin-off from Telenor with the aim of working on the browser full-time. Network World sat down with von Tetzchner on Thursday to talk about Vivaldi and Opera at the Innovation House, a related venture of his. 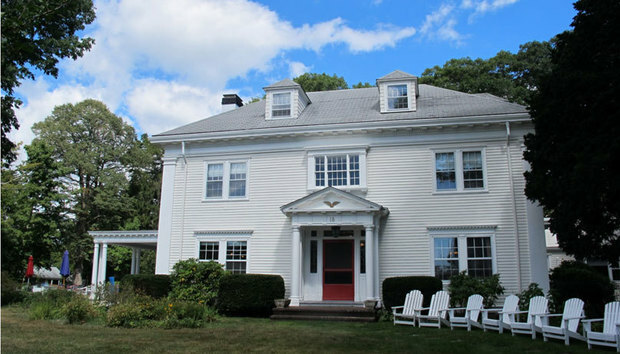 The Innovation House is a stately white mansion and former hotel in Gloucester, Mass., about an hour north of Boston. Functionally, it’s difficult to describe, a cross-between a startup incubator, summer camp, shared workspace and unofficial Icelandic trade outpost. (A company importing fresh Icelandic lamb is present when I visit.) There’s a big shared kitchen and wood-floored dining rooms and lounges transformed into common workspaces. Some of the hotel’s old bedrooms have remained bedrooms, while others have been remodeled into additional office space. The original branch, in von Tetzchner’s native Iceland, occupies an office building in Reykjavik, and opened in 2013, and the Gloucester location followed a year later. It’s a way to support startups, he said, but is reluctant to call it an incubator. The idea is to provide a cost-free, convenient space for Vivaldi employees to live and work in North America, as well as a handy home base for selected other companies looking to network and grow. After Opera was forced to get its own space in the early days – the company began with the former Telenor employees simply keeping their own offices – von Tetzchner said the options were thin on the ground whether due to high rents or other unacceptable conditions. “They would like a share in the company or something like that,” he said. Numerous other sites in the U.S. and Europe were considered, according to von Tetzchner, but proximity to Boston and its tech community was one of the keys to settling on Gloucester. “The distance to Europe [from Boston] is very short, and we just like it here,” he said. But where the Innovation House is a comparative novelty, Vivaldi is in some ways a throwback. For Vivaldi, von Tetzchner said, the idea is similar to the one behind Opera – a browser for the power user. Where the general trend in browser development has been to abstract more and more functionality into the background, making the experience as seamless and transparent as possible, Vivaldi aims to be feature-packed, with many options for the advanced user. To that end, Vivaldi, which is based on Chromium, crams in a lot of functionality – new ways to arrange tabs, bookmarks, tiled windows, and extensive keyboard control commands, to name but a few. An in-browser mail client, designed to unify multiple accounts in a single place, is also planned.